Mental Wellness & Uptown’s Coast, scheduled for February 27th, 2018, at 6:30PM, will be the seventh session of the Out and About Uptown’s Coast environmental education series. 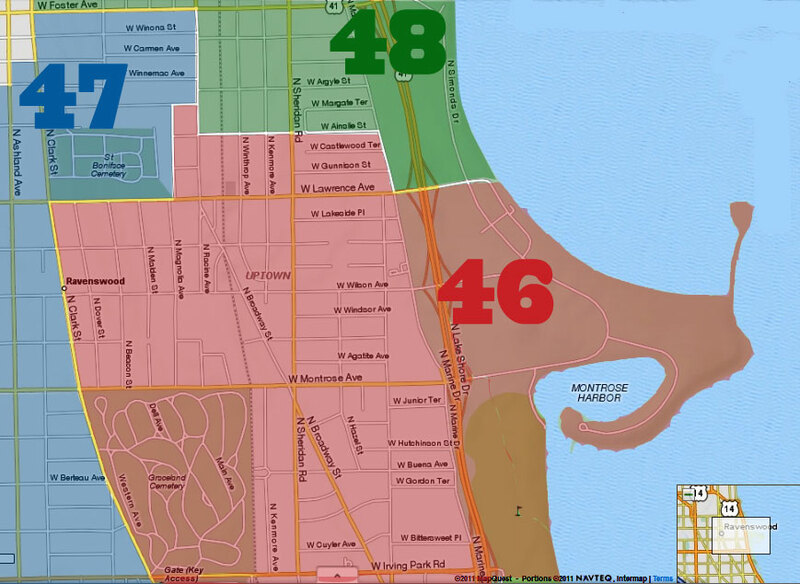 The session will start at 6:30pm at the Institute of Cultural Affairs, 4750 N. Sheridan Road. 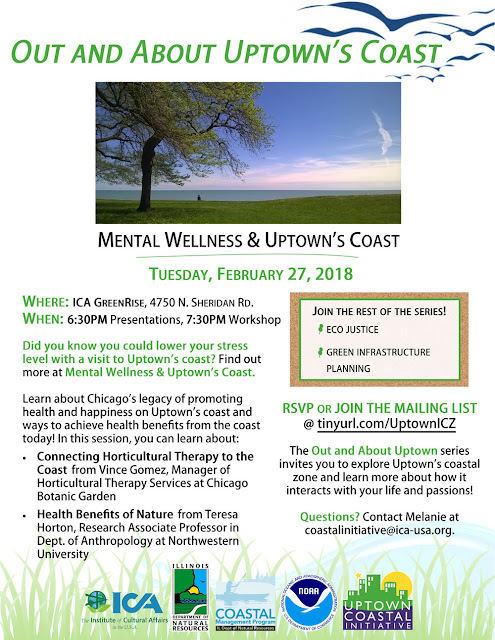 Local experts will share information about connections between Uptown’s coast and mental wellness. 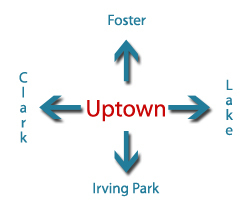 Melanie Eckner from the Uptown Coastal Initiative will share Uptown transit history. Special guests Teresa Horton, Research Associate Professor in the Dept. of Anthropology at Northwestern University, and Vince Gomez, Manager of Horticultural Therapy Services at the Chicago Botanic Garden, will share their expertise about the connection between nature and health. Vince Gomez will also lead a workshop on the healing benefits of nature.